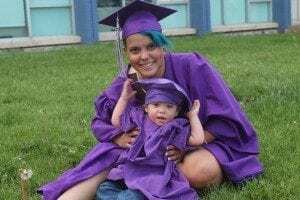 Florence Crittenton Services of Colorado is a nonprofit that educates, prepares and empowers teen moms to be productive members of the community. Using a comprehensive and evidenced-based approach, the agency offers a spectrum of wraparound services for the entire teen family, including academics, career guidance and parenting training for pregnant and parenting teen mothers at the Florence Crittenton High School; early childhood education for their infants and toddlers at the Qualistar-rated Early Learning Center; and counseling, education and parenting support for teen mothers and their family members through the Student & Family Support Services. Florence Crittenton Services helps create cycles of success for teen families! As a registered 501(c)(3) organization, Florence Crittenton Services depends on contributions from individuals, foundations, and corporations to provide our teen families with educational services and employment readiness. Every gift counts when you give to Florence Crittenton Services! We promise that your generous car donation will deliver hope for young families in need in our community and help empower them to be productive members of the community—and that benefits us all!